Spinnin’ Next is a group of young, talented Spinnin’ artists, who have the potential to become the next big stars in dance music. Spinnin’ Next is the platform Spinnin’ Records wants to give to young, promising artists to give them that little extra push in their career. This is because Spinnin’ Records cares a lot about educating the next generation of producers, something Spinnin’ puts a lot of time and effort in as the biggest dance label in the world. With Spinnin’ Next Spinnin’ wants to showcase more than just the music of an artist. Who are they as a person? What are their stories? Who do they want to become as an artist? These are all background stories you’ll get to know through Spinnin’ Next. 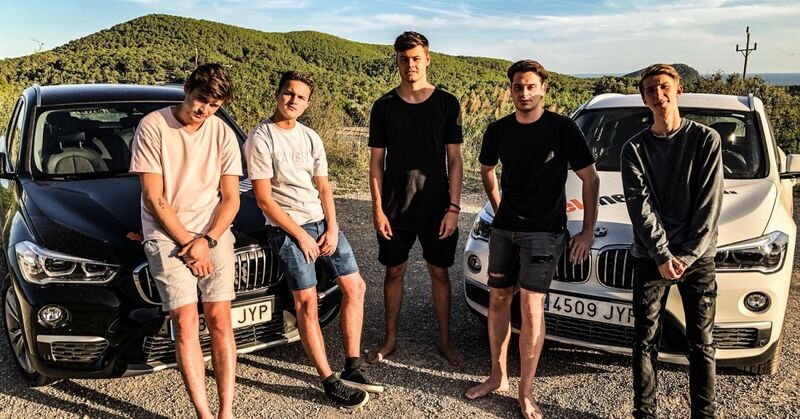 The artists who were originally part of the Spinnin’ Next crew were Mike Williams, Trobi, Dastic, Mesto, Sophie Francis, Curbi, Carta, Dante Klein, and Throttle. Find new ways to create unique content for Spinnin’ TV on YouTube to promote the Spinnin’ Next artists. We noticed our huge YouTube following of more than 20 million subscribers wanted to see more of our artists than just their music videos. In the age of social media where you get to see way more of an artist his personal life, we didn’t want our YouTube to fall behind. This resulted in us thinking of new ways of creating content for our YouTube channel. The first Spinnin’ Next project was the creation of a YouTube series, with 6 episodes, on Ibiza. We followed 5 of the Next artists while they were on Ibiza, Mike Williams, Trobi, Dastic, Mesto and Dante Klein. The program was a mix of work and pleasure. The artists went to the Sonic Vista studios to produce new music, they played at Café Mambo and organized their own boat party as their work part. Next to that they also had a nice change of pace with time to go clubbing, go to the beach, and a day on a boat. All of this was also shared on the Spinnin’ Next Instagram account. To make this production possible we partnered up with various companies, including Sixt Car Rental, who provided three SUV’s for the whole week, and Red Bull, who provided the studios for two days. Both brands were naturally integrated in the episodes, to promote them in a cool and relevant way. The series were a big success with a total of nearly 800.000 views on YouTube and a social media reach of 2.2 million on social media. Next to that, Mike Williams his big single ‘Give It Up’ was made during the trip!